Why is children’s ministry so important? Here are the first 68 benefits that come to mind! Your kids ministry is important. That’s why we started writing down this list of the benefits of children’s church, Sunday School, and all kids ministry programs. We hope this article will encourage everyone at your church to invest in the next generation. 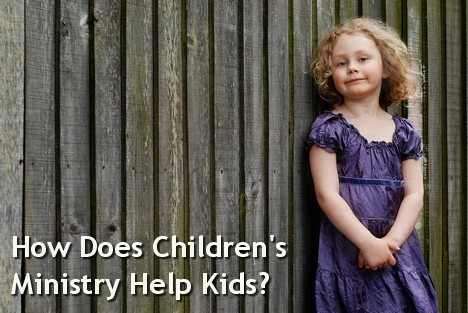 Why is Children’s Ministry important? Children’s Ministry is good for kids. — Children’s Ministry Tip: Constantly work to introduce them to Jesus. Make the good news plain in everything you do. We have a mural in our children’s worship room that summarizes the story of Jesus. — Children’s Ministry Tip: Teach a Gospel-centered worldview with specific applications that will help them interpret life. — Children’s Ministry Tip: Present the good news in age-appropriate ways all throughout childhood. I have different booklets that I give to different age groups to better target their comprehension level. — Children’s Ministry Tip: Be careful to teach both God’s law and God’s love, one doesn’t make sense without the other. — Children’s Ministry Tip: Provide real life experiences for them to love other people. Some examples are mission trips, prayer partners, and ministry projects. — Children’s Ministry Tip: As a leader, your should be having fun too. Let the children know that you love ministering to them. — Children’s Ministry Tip: Make a list of the needs, interests and motivations of kids. Use these to inform (not dictate) how you will present God’s truth. — Children’s Ministry Tip: Allow time for group activities and relationship building in your programs. — Children’s Ministry Tip: Pay attention to what kids are saying about their home life. Try to get to know every family. If you suspect abuse, you are legally (and morally) obligated to report it. — Children’s Ministry Tip: Draft pastors and staff ministers to serve VBS or other ministry programs. — Children’s Ministry Tip Plan high value crafts that are worthy of keeping. — Children’s Ministry Tip Take photos, make videos, or encourage kids to journal their memories. — Children’s Ministry Tip Design adult led small groups into our ministry times. Children’s ministry benefits the family. — Children’s Ministry Tip: Be intentional about helping parents fulfill their calling. Involving them in the ministry, providing resources and offer parents training in family discipleship. It helps nudge some parents into more faithful attendance. Usually, parents become more involved in the church when their kids become more involved in the children’s ministry. — Children’s Ministry Tip: Look for families on the fringe and work to get their kids more active in our programs. It brings unchurched families in contact with the Gospel. In our culture, reaching children is one of the most effective ways to make contact with unchurched families. — Children’s Ministry Tip: Be intentional about family outreach and follow-up. Make a plan, share it with your pastor and stick to it. It helps new families get connected with the church. Even when a new family comes into the church, they still need help to get plugged in. — Children’s Ministry Tip: Recruit new members to serve in our programs (or somewhere else if they aren’t a good match). It helps identify families that may benefit from biblical counseling. Often in working with kids, we discover deeper problems at home that need biblical counseling. 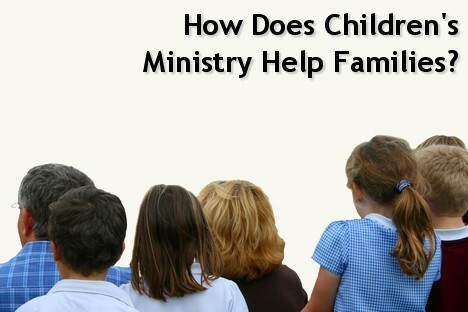 — Children’s Ministry Tip: Work closely with our pastors (or counseling ministry) to refer families for help. It helps dads get involved in the church. For various reasons, fathers have a difficult time getting connected with the church family. One great way to bridge this gap is to use kids’ sports ministries. — Children’s Ministry Tip: Explore programs like Upward Basketball as a tool to for outreach and father assimilation. It provides families with meaningful shared experiences. This is true especially when the whole family can participate in events like VBS or summer camp. — Children’s Ministry Tip: Be aware of the potential for families to build traditions through our programs. It helps answers those hard question. Almost every week a child will come to me with a religious question that has stumped their parents. 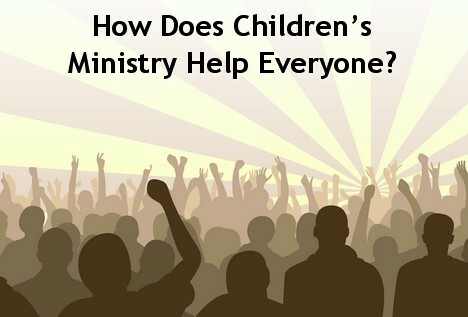 — Children’s Ministry Tip: Even while answering the question, reinforce parental teaching authority. Help parents to find resources that will answer future hard questions. (click here to go back to article index)? Children’s ministry benefits the whole church. It helps the church to pass on the faith. In every period of church history, this has been a struggle. Children’s ministry can help the church be intentional about telling the next generation. — Children’s Ministry Tip: Work with your pastor to develop a comprehensive plan for Christian education. These are sometimes called a scope and sequence when you’re talking about Sunday school curriculum. Most publishers have a copy of their’s in the front of the teachers guide. It helps bring in new families to the church. It is becoming more difficult to identify and reach 20-somthings who are prospects for evangelism. — Children’s Ministry Tip: Understand the ministry’s role in opening doors to this demographic and make it a goal for every program. It allows the church body to us their talents and spiritual gifts. Releasing the ministry potential of lay people is often a key for church growth. — Children’s Ministry Tip: ring first time church volunteers into the ministry. Train them, encourage them and watch God work through them. It helps train future church leaders. We should expect kids who grow up in our ministries to become leaders in the church and in the world. — Children’s Ministry Tip: Involve kids in ministry opportunities. Include children in other church ministries as often as possible. It provides accidental learning for ministry volunteers. Sometimes our grown-ups learn as much as the kids. — Children’s Ministry Tip: Encourage the adults to make learning one reason they serve in the ministry. It raises community awareness of the church through special events. When our church launched Upward Soccer, it was the talk of the town. It put our church’s best foot forward and brought many first time visitors into our services. — Children’s Ministry Tip: Understanding our events can create positive buzz for the church as a whole. It helps big church go smoothly. Quality childcare is essential to allow parents to participate fully in the church worship service. While our ministry is much more than childcare, this is a clear benefit to the church. 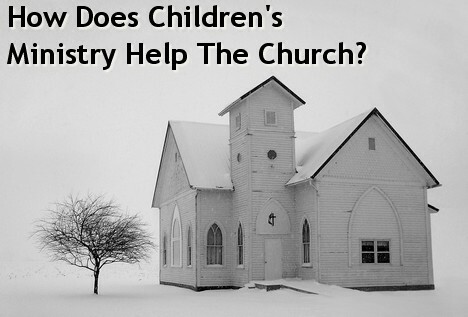 — Children’s Ministry Tip: Provide excellent care to help parents get the most out of church. It helps build a strong youth ministry. We should expect children who grew up in our ministry to become leaders in the student ministry. — Children’s Ministry Tip: Work closely with the Youth Ministry toward common goals and a comprehensive discipleship plan. Having children present helps the pastor to keep the Gospel simple. Your preacher will benefit from preaching to kids. It forces them to rethink their vocabulary and provide adequate explanation of spiritual concepts. — Children’s Ministry Tip: Provide regular occasions when children are present for the sermon. Having children present brings joy to the whole congregation. Kids are a blessing from the Lord, and their company will liven up any fellowship. — Children’s Ministry Tip: Involve the little ones in the life of the church, especially for a portion of the worship service. Having children present reminds the congregation that all people were made in God’s image. The innocence and creativity of kids reminds us all that people were created to be holy and happy. — Children’s Ministry Tip: Have children perform music specials or pray in front of the congregation. — Children’s Ministry Tip: Tell stories about kids and their natural trust in God. This will be an encouragement to believers of all ages. Having children present helps the church learn to accommodate different music styles. Too many times selfishness is the cause of the ‘worship wars.’ But many times the church will accommodate a special child friendly song. This is one step toward diversity in musical styles. — Children’s Ministry Tip: Help the music leaders select songs the children can enjoy. Having children present gives a sense of excitement and hope about the future. Few things point us to the future like being around children. — Children’s Ministry Tip: Cast a vision for how God might bless the coming generation. It brings joy for the church to see children grow through the years. Everyone loves to see the little ones growing up. Children’s ministry helps make that happen when we keep the kids in front of the congregation. — Children’s Ministry Tip: Use bulletin board space to chronicle their growth through school pictures of Sunday school class photos. It provides senior adults with the opportunity to be spiritual-grandparents. There are great blessings for everyone when the elderly spend time with the young. — Children’s Ministry Tip: Plan special events or establish a spiritual-grandparent program. — Children’s Ministry Tip: Consider planning cooperative programs such as Upward Basketball or Vacation Bible School with like minded churches in your town. Volunteers benefit from additional fellowship among one another. Working together on a ministry program helps people make lasting friendships. — Children’s Ministry Tip: Make fellowship a key component of your ministry workers meetings. Encourage volunteers to stay together over multiple years of service. Volunteers receive formal training and additional pastoral oversight. The training sessions you provide can be a great form of continuing Christian education for adults. — Children’s Ministry Tip: Invent time and energy in our training meetings. Make them worth coming to; don’t waste people’s time. It provides a context for women to use their teaching gifts and leadership. In many denominations, the position of senior pastor is limited to qualified men approved by the church. But everyone can agree that God gifts and uses women to teach in a variety of other settings, especially children’s ministry. — Children’s Ministry Tip: Encourage all our volunteers (including women) to fully develop their teaching skills. It allows artistic people to share their talents. Children’s ministry crafts is one area that can greatly benefit from these abilities. — Children’s Ministry Tip: Encourage our craft volunteers to pick an occasional advanced project. Honor the faithful women who serve with little recognition in the children’s ministry. It allows musically gifted people to share their talents. It takes a great deal of patience and charisma to lead children to worship God through music. — Children’s Ministry Tip: Look for the talented people God has sent your congregation for just this purpose. It allows talented cooks to share their gifts. Don’t forget that baking and cooking are valuable talents that God can use for ministry. — Children’s Ministry Tip: Plan special birthday cakes for children in Sunday school. It helps reform families and the church. When a church is struggling to recover its theological and spiritual heritage, often the education department can take a leading role. — Children’s Ministry Tip: Provide quality resources for families such as worship guides for family devotions and catechisms. Children’s ministry benefits everyone in society. It is good for public schools. Kids who learn self-control and respect for authority are a blessing in any classroom. — Children’s Ministry Tip: Teach kids that God expects these character traits from his followers. Explain how the “fruits of the spirit” relate to the way they behave at school. It is good for homeschoolers. Children’s ministry provides another social outlet and opportunities to experience learning in a large group. — Children’s Ministry Tip: Be aware of homeschoolers and work to make them feel welcome. Mission project actually do good to others. When kids plan and do ministry projects these can be powerful acts of mercy. — Children’s Ministry Tip: Plan projects that relieve real suffering. These may be harder, but they are worth the extra effort. Good for society. Children who understand God’s moral law and how to love their neighbors will make the world a better place. — Children’s Ministry Tip: Teach the children how obeying God and loving their neighbors will make the world a better place. It is good for the christian movie industry. Christian booksellers have created a demand for family friendly cinema. Veggie Tales did change the video industry for the better and you should not underestimate the role of children’s ministry in spreading an interest in these type videos. — Children’s Ministry Tip: Occasionally promote a quality movie (or video series). Consider a church family outing to see it together. It is good for kids book publishing industry. Children’s story Bibles and similar resources were created because parents (and churches) were looking for this type of material. — Children’s Ministry Tip: Make these resources available to parents in your ministry. Occasionally teach from a story Bible and recommend it for families to use at home. It is good for their future spouses. Children who learn to love their neighbors and follow Jesus in all of life will be ready for marriages that last a lifetime. These values must begin when to be learned early in life. — Children’s Ministry Tip: Don’t skip the commandments about adultery. Tell children that marriage is important to God and it’s for your whole life. It is good for their future employers. Hard work and self-control are virtues that the Bible assumes all Christians will demonstrate. Children’s ministry helps produce adults who love Jesus and follow his Word. — Children’s Ministry Tip: Share stories of church member who have reputations for being hard working. Explain that our work glorifies God when we do our best. Children’s ministry benefits childhood education. It accommodates the unique educational needs of children. We all know that children learn differently than adults. Targeted teaching for kids helps accommodate these differences. — Children’s Ministry Tip: Learn about cognitive development and know the limitations of your learners. It allows teachers to target multiple intelligences in their teaching. New research in education points to various types of intellect. 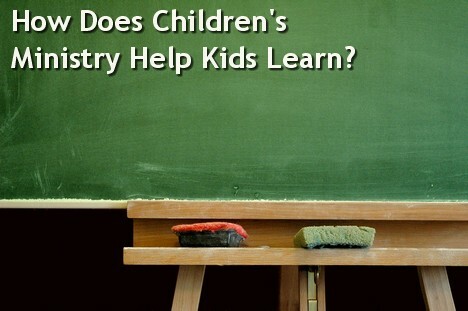 Typical children’s ministry curriculum already addresses these different learning needs. — Children’s Ministry Tip: Use a variety of learning activities that appeal to distinct learning styles. It allows for age-graded instruction. A tried and true way to promote learning is to teach on different maturity levels. Children’s ministry programs (like VBS and Sunday school) have been doing this for years. — Children’s Ministry Tip: Plan times when children from similar grade levels can learn together. It allows children to memorize large portions of scripture. A major focus for most children’s ministry programs is Bible memorization. Concentrated efforts in this area while kids are young can yield lifelong benefits. — Children’s Ministry Tip: Challenge kids to learn and retain three verse each month. Review these every week all year long. Use games and drills to make it fun, but don’t skip the Bible memorization. It provides systematic Bible instruction. Sunday school publishers charge their lessons according to a defined scope and sequence. This assures that kids get a broad introduction to the Bible and its major teachings. It allows learning to worship in a group through singing. Kids who learn to worship in groups of other children, using simple worship songs, are better prepared to participate in congregational singing. — Children’s Ministry Tip: Choose worship songs and teach about the difference between singing and worshiping through singing. It allows children to learn how to read scripture in public. Having kids read scripture in Sunday school and children’s church, helps them learn to read the Bible aloud. — Children’s Ministry Tip: Make this a regular component of your ministry time. It helps kids learn to pray aloud in public. The same is true for praying in public. This is a much less intimidating process in a small group, such as Sunday school. — Children’s Ministry Tip: Invite children to lead prayer in Sunday school or children’s church. It provides a context for children to learn how to respect their elders. This habit is also best learnt-by-doing. Children’s ministry is an excellent format to teach kids how to interact with and to respect older people. — Children’s Ministry Tip: Invite an older church member to share a testimony about their many years of serving God. Hold up long-term faithfulness as something that should be greatly respected. It increases the total amount of instruction time children will get in the Bible. Promote biblical literacy by teaching the Bible. Even children who read their Bibles at home will benefit from this extra learning time. — Children’s Ministry Tip: Add a regular Bible reading portion to your ministry time. Even 2 minutes at a time will add up over the years. It promotes the use of music as a learning tool. One of the easiest ways to learn is through music. Most children’s ministry curriculum provide music designed for worship as well as teaching. — Children’s Ministry Tip: Find the best mix of musically quality and content. Don’t just settle for contemporary music. When possible, teach the children songs based closely on scripture passages. Give away CDs with these high quality learning songs. It provides a context for children learn to do peer-to-peer evangelism. When kids invite other kids to church, they take the first steps to witnessing to their friends. Children’s ministry helps make that happen by encouraging kids to share Jesus. — Children’s Ministry Tip: Encourage kids to invite friends to church and talk about Jesus in their regular life. Younger kids don’t have the same shyness about witnessing as adults. So, help them spread the message. It provides opportunities to re-teach the Gospel in every developmental stage. Often a child’s response (or lack of response) to the Gospel is hidden by their immaturity. The best way to overcome this concern is to continue to reinforce the plan of salvation as they mature. — Children’s Ministry Tip: Have a plan to re-teach the Gospel in detail (at least four weeks worth of lessons) at least once each year while a child is in your ministry programs. If they don’t understand the way of salvation, then we have failed them. It helps maximize spiritual development at every developmental stage. The principle is true for their spiritual development after they are converted. — Children’s Ministry Tip: Watch out for 9-11 year olds. This is a prime time when kids learn to pray long and deep. Celebrate their maturing spiritual capacities and help them become consistent in daily private worship times. Here is a 200 px wide button. God bless you for the good work. I have been praying to start a backyard bible club for kids within my area so i decided to research a bit on how to start and i chanced on your site. I am so blessed to find your website. That’s wonderful news and we so much appreciate the encouragement! I’m asking God to bless your ministry and help the children come to Jesus. I like that you state that taking children to church services is their best chance to accept Christ into their lives. I have two small children, and we are moving to a new area, so I want to find a good church to take them to on Sundays. I will keep this in mind while we are looking at our options. Tony Kummer (Editor) reviewed & updated this page on : March 9, 2019 at 9:50 am. All our content is peer reviewed by our readers, simply leave a comment on any post suggest an update.